PROTECTO ENGINEERING PRIVATE LIMITED has more than 40 Years of Experience in Designing, Manufacturing and Servicing of Submersible and Dewatering Pumps. Supported by state of art Manufacturing, Servicing and Testing facility at Chakan – Pune, we are an ISO 9001:2008 CERTIFIED organization in Design, Development, Manufacture and Service of Electrical Submersible Pump set. 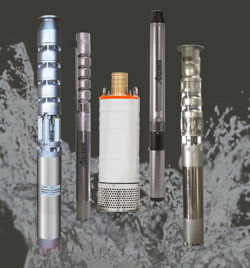 Being a manufacturer itself, we understand everything about a submersible pump set. The design limitations, part failure and rectifications, cable failures in harsh environment, the winding failure, balancing of shaft and rotor, in short each and every problem faced by pump set during operation w.r.t its application. We are manufacturers of ATALANTA submersible pump set, but that does not constrain us from servicing of pump sets of some other Make. Because we as a manufacturer and a service provider follow NEMA standard for couplings in the pump set which enable our parts to be compatible with any other pump set, also we do customize parts in case required for special conditions.